In recent international route developments, a new European route from San Jose is delayed; South America’s LAN resumes service to a major west coast gateway; American switches aircraft types on a pair of China routes; Cathay Pacific will increase Boston service; TAM will debut a new widebody on a key U.S. route; and Ft. Lauderdale loses some South American service. Bay Area travelers who want to take Lufthansa’s planned new nonstops from San Jose to Frankfurt will have to wait a while longer. Instead of going ahead with its planned April 29 launch, the German carrier is pushing back the inaugural to July 1. 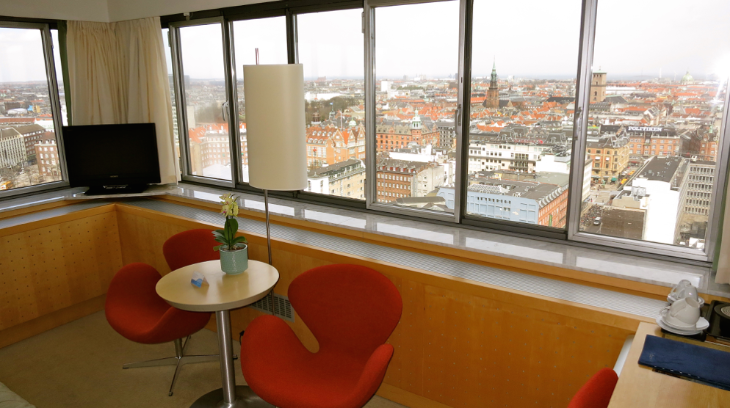 Persons already booked will be put onto Lufthansa flights from San Francisco instead. 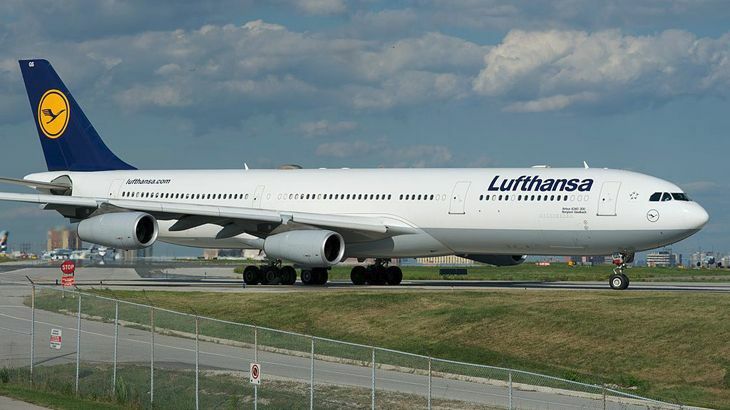 Lufthansa will use an A340-300 for the daily non-stops. South American carrier LAN Airlines plans to resume service between Los Angeles International and Santiago, Chile on October 16, according to Airlineroute.net. LAN, a member of American’s Oneworld alliance, will use a 787-8 to fly the route three times a week. LAN discontinued Santiago-LAX (and Lima-SFO) flights in early 2014. American Airlines plans to make some changes on two of its routes to Shanghai starting June 2. The 787-8 that AA currently operates on its daily Los Angeles-Shanghai service will be replaced with a 777-200ER, while the 777-200ER that the airline currently flies from Chicago O’Hare to Shanghai will be replaced with a 787-8. Cathay Pacific says it is seeing increased demand for the non-stop Boston-Hong Kong flights that it introduced last spring, so it plans to increase frequencies on the route from the current four flights a week to five, effective May 5. Cathay will add a new Thursday departure from Boston in addition to the current Tuesday, Wednesday, Friday and Sunday flights. Cathay uses a 777-300ER on the route. The 1:45 a.m. departure time from Boston allows for same-day connections at Hong Kong to major Asian destinations and 23 cities in China. 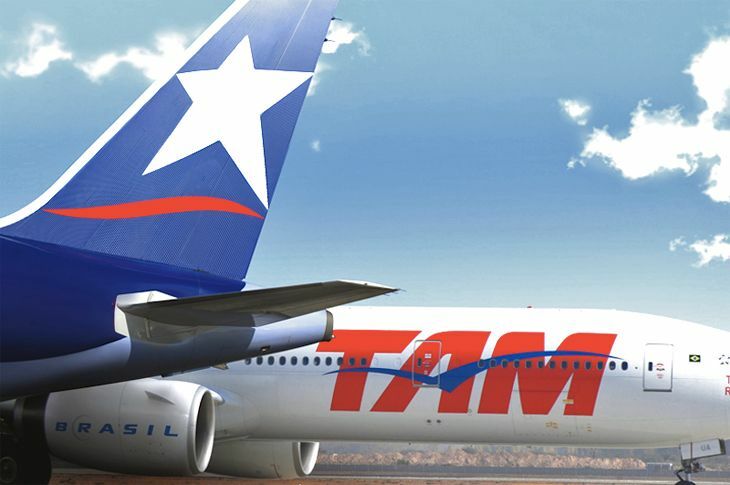 Brazilian carrier TAM, which flies twice a day from Miami to Sao Paulo’s Guarulhos Airport, plans to replace the 777-300ER it uses on one of those flights with Airbus’s brand-new widebody the A350-900XWB, effective May 22, according to Airlineroute.net. TAME Ecuador – the flag carrier for that South American country, and not to be confused with TAM – plans to discontinue its six weekly A320 flights from Ft. Lauderdale to Quito effective February 20. In 2010 and 2011, American Airlines went into overdrive on the international partnership scene; not content with the ties of its Oneworld global alliance and its code-sharing partnerships, it went a step further and formed joint business ventures in the transatlantic market with British Airways/Iberia, and across the Pacific with Japan Airlines to Japan and with Qantas to Australia/New Zealand. Its leading competitors, United and Delta, did the same with other foreign partners. Things have quieted down since then, but now American — a much larger company following its merger with US Airways — has targeted a new partner for what it calls a Joint Business (JB) operation: South America‘s LATAM Airlines group. LATAM’s principal carriers — Brazil’s TAM and Chile-based LAN, which merged in 2012 to form the LATAM holding company — are already members of Oneworld. But under the stronger bonds of a joint business venture — if it is approved by U.S. and Latin American government authorities — American and its LATAM partners can coordinate schedules, routes and pricing without fear of running afoul of antitrust laws. As usual, American is touting what it says will be big benefits for its customers under a Joint Business arrangement, including greater market access to more destinations with more flight frequencies, “more competitive fares,” and seamless connections between airlines. LAN and TAM and their subsidiaries serve 140 cities in 24 countries, with a total fleet of 318 aircraft. In addition to the American deal, LATAM has simultaneously applied for approval of a transatlaqntic joint venture with AA’s International Airlines Group partners, British Airways and Iberia. 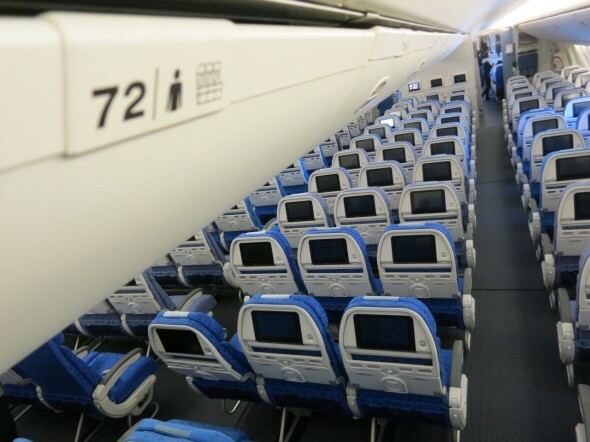 Readers: Have you flown on LAN or TAM? Do you think they’ll make good Joint Business partners for American? Have you ever used any of these lame excuses to get an upgrade to first class? In international route news, Delta is throwing in the towel on its transpacific route from Seattle to Tokyo Haneda; Orlando adds more service to Latin America; American plans a new South American route from DFW; ANA adds a new U.S. gateway; and San Francisco gets more Hong Kong flights. Delta told the Transportation Department it plans to discontinue service on its Seattle-Tokyo Haneda route at the end of September. The route authority into Tokyo‘s close-in airport will reportedly go to American, which wants it for Los Angeles-Haneda flights, and plans to start them this fall. Delta had been under pressure from the Transportation Department to maintain regular year-round daily service on the SEA-HND route if it wanted to keep it, and apparently Delta decided that it just wasn’t viable under those conditions. Delta will continue to fly from SEA to Tokyo Narita. In other route news, Delta has started daily seasonal service from Atlanta to Zurich for the summer, using a 767-300ER. It has also decided to turn its service between New York JFK and Nice, France — which previously ran 10 months a year — into a year-round operation. And Delta said that starting next March 27, its JFK-Tokyo Narita flight will continue beyond Narita to Osaka’s Kansai International Airport. The LatAm Airlines Group is adding a pair of new routes from Orlando to South America. TAM Airlines has started daily service between Orlando and the Brazilian capital city of Brasilia, using a 767-300ER. And June 20 was set as the launch date for LAN Peru’s new daily non-stops between Orlando and Lima, Peru, using an A319. American Airlines plans to add another Latin America spoke from its Dallas/Ft. Worth hub. The carrier has filed for government approval to begin DFW-Quito, Ecuador flights five times a week starting December 18, using an A319. All Nippon Airways has launched its newest transpacific route, linking Tokyo Narita and Houston Bush Intercontinental with a daily 777-300ER flight. 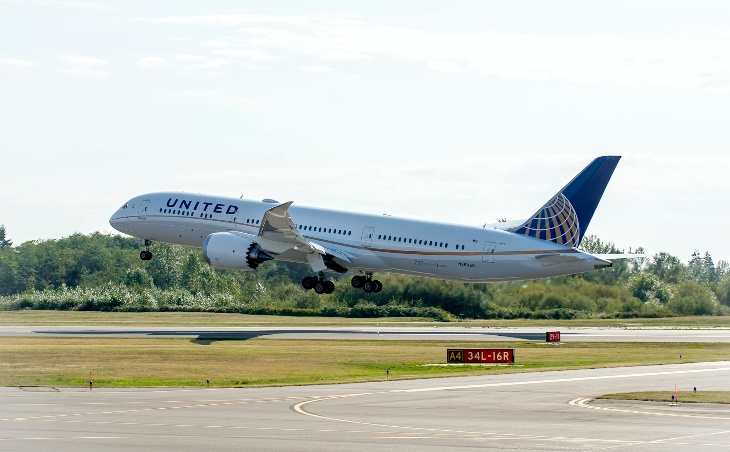 Houston is a hub for United, which is a partner with ANA in the Star Alliance. At San Francisco, Cathay Pacific has increased frequencies on its Hong Kong route from 14 a week to 17, adding an extra SFO departure on Wednesdays, Fridays and Sundays at 1:30 a.m. with a 777-300ER. And starting December 12, China Eastern plans to change equipment on its SFO-Shanghai Pudong route from an A330-200 to a 777-300ER.